It’s September, the time when many are heading back to school (in the Northern Hemisphere). 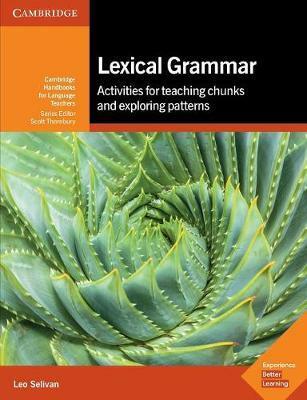 I thought it would be a good time to share some lexical (and lexico-grammatical) activities to start the year. Students introduce each other using an adjective that alliterates with their name. Suitable for Pre-Intermediate (A2/B1) and up. 3. Students introduce their partner to the class using the adjective and one of the above patterns. With higher levels you can ask students to justify the chosen adjective. Prepare slips of paper with (some of) the following sentence starters (sentence heads). There should be a bit more papers than the number of students. 1. Put all the papers in a box (e.g. shoe box). Circulate around the room with the box and ask students to take one strip of paper each. 2. Students complete the sentences so that they are true for them, fold them and put them back in the box. 3. Place the box in the centre of the room. Ask students to take a strip of paper out of the box and find out who the statement written on it belongs to. If, by chance, students pick out their own sentence, collect the papers from them (and a couple of other students) and redistribute by shuffling the papers in the box. To find out who has written the statement, students should mingle and talk to each other. They are not allowed to show each other the papers. Encourage students to ask follow-up questions and, at the end, when the students have returned to their seats, ask some of them to report on what they’ve learned about their classmates. Prepare a half A4 page (A5) sheet with four circles – see Example below. Make enough copies for each student in class. Alternatively, draw the circles on the board and ask students to copy. 1. Make sure students know the meaning of the verbs in the circles. 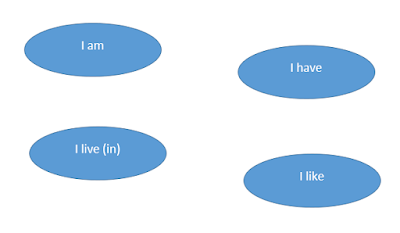 Introduce yourself using the four circles to provide a model for students. 2. If students can write, ask them to write ONE sentence in the circle. If they can’t, they should make a sentence orally. Monitor and help students by feeding in the vocabulary they may lack. 3. Allow some time for practising introducing each other in pairs; then call on each student and ask them to read out / say their sentences. Encourage students to incorporate as many words as they know. 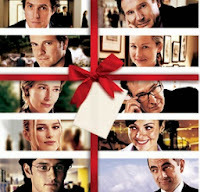 This is basically a Find Someone Who (FSW) activity suitable for students who already know each other (i.e. they were in the same class last year) - with a "twist" at the end. What did your classmates do over the summer? 1. Distribute the handout. Clarify the meaning of 'difficult' lexical items, if necessary. 2. Students mingle asking and answering each others' questions. 3. Conduct whole class feedback by asking students to report back to class what they found out about their classmates. 4. Ask students to turn over the FSW handout and distribute a sheet with the same questions with the verbs blanked out. Alternatively, this can be displayed on the board/screen. Get students to fill in the gaps. Then check against the original FSW handout. Discuss any areas of difficulty. There is a mix of relatively easy, familiar verb-noun collocations here (e.g. went for a bike ride) and some potentially new ones (which you would have clarified in Step 1 above), such as binge-watch or came down (with) - I'm aiming for B1+/B2- level here. There are also a couple of 'problematic' collocations, such as threw a party or took a (photography) class. 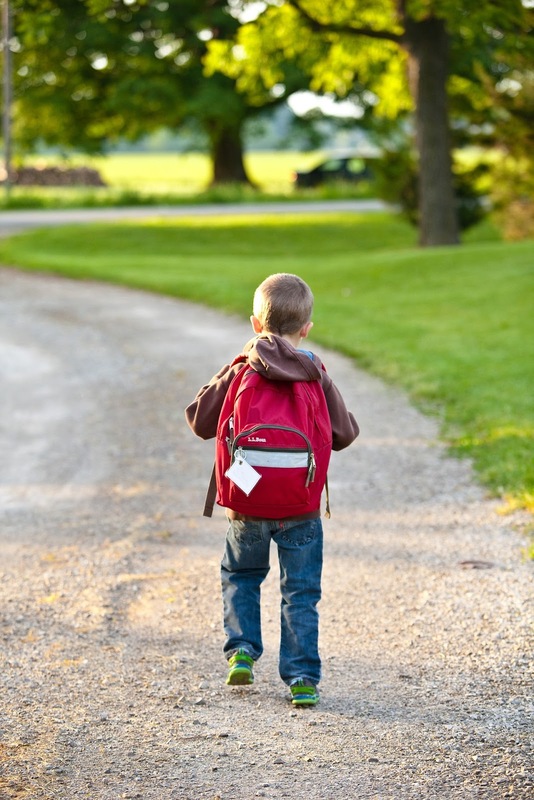 Do you have a favourite 'back-to-school' activity? Do share in the comments below. Thank you, Magda. Hope it goes well. Excellent ideas! Especially for the lower level students. Thanks. I was aiming for lower levels with this. Thank you. Do let us know how it goes. Great. Thanks for making school start easier! My pleasure, Astrid. Thanks for stopping by! We're halfway through the term in Brazil, but I'm sure and I could easily use the ideas as warmers for lessons as well! Thank you, Rubinho. Glad to hear! Lovely activities!! !I'll try the sentences in a box. Thanks for sharing!!! Thank you, Asum. As I acknowledged in the post, this one is not my original idea though. Hope you can use some of them. Thanks for stopping by! Wonderful ideas! I might use some of them. Thanks. Thank you, Zehava. Hope your students enjoy them. Great ways to activate students while reviewing vocabulary. Obviously teachers can alter the sentences for their particular class. I do the four-square introductions orally with a back-up rhythm. It adds some fun and keeps things moving. Always good to have you here, Kara! Thank you for your comment and for adding the usual musical twist. Leo, thanks for such interesting and enjoyable activities. Thank you, Isme, for your suggestions / adaptations. I like how these activities are educational and they are also ice-breakers for the students with each other but also with the teacher. People also learn about each other-it's a social activity. I'm glad you see the social aspect of it, although my main aim was primarily linguistic. Do you have any favourite ice-breakers ? I like the ice-breaker where one person says something about themselves and then everyone who has the same thing in common has to stand up and do an action (either switch seats or clap three times etc.). Hi, Leo. These are really interesting and I would love something similar for even lower levels. Always a challenge to get them off the ground and starting to really understand conversations. If they cannot come up with words, for example in the alliteration exercise do you let them look up words on their phones or on a computer? Thanks for the comment. Glad you liked them. Holy smoke, this is awesome! I have to admit, teaching children is my weakness. I couldn't figure out how to engage them the same way that I can engage my adult students. I love the idea of an FSW exercise. I think I'm gonna put one together soon, and keep it in the hopper. This post is certainly going in my reference folder. Thanks for the advice! True, different age groups require different 'engagement techniques'. Glad you liked my ideas. Thanks for stopping by, Justin. Great ideas, really on time. Thanks, I liked an activity you once did with us. You wrote 10 sentences about yourself and we had to decide which two were not true. The students can then be instructed to do the same. Nice post and blog in general. Keep it up!! Just to let you know that we’ve shortlisted this blog post for this month’s TeachingEnglish blog award and I’ll be putting up a post about it on todmorrow’s TeachingEnglish Facebook page http://www.facebook.com/TeachingEnglish.BritishCouncil, if you’d like to check there for comments. Thank you very much.Perfect ideas. Thanks Leo! This list is jam packed with fantastic ideas! I personally was giving a class in speaking with 11th graders (non-native speakers) and found myself at a critical point: The barco died! I reached into the proverbial back pocket and pulled out a game similar to one of these; the students loved it! Saved, and super simple!